Everyone knows of a handful of days that change who you think you are. Death removes someone you love from your life and changes the family dynamic. Marriages add new members, rearranging the family dynamic. And, there are tragedies that can drop you to your knees in an instant, showing you that it can happen to you, too. Days like these steal your innocence. They make you question what you thought you knew before. I know, because on July 25, 2010 my husband and I experienced the most difficult day of our lives. Four days prior, I didn’t have a name for what was wrong with my son. My husband and I had been baffled for years at his lack of maturity, initiative, his mood swings and irresponsibility. But that day, as I drove out of this long drive, leaving my son at an alcohol and drug rehabilitation center, I had the answer that boggled my mind and shook my family to the core, making me re-examine everything in my life. As I got to the end of that driveway there was a big arch that extended from one side of the drive to the other. It was painted with big white letters that said, “Let Go and Let God.” I had often heard that phrase in relation to AA, but, I had never really dug into the guts of what that meant. Our journey would begin by learning how. Our family was about to learn many new things. We would be challenged to change our entire views on how to protect our son. We were advised to allow him to face the natural consequences of his actions, no matter what the consequence was. We were all so paralyzed with fear, in the beginning. Thankfully, good friends and family surrounded us with prayer, food and the support we needed. For many weeks I slogged through each day, came home, laid in the fetal position on the sofa and begged God for the help that I wanted. This was not the place I had ever expected to be. I had not hoped for, planned, dreamed or even imagined this for any of my children. We had discussed the dangers of drugs and alcohol. I took my children to Mass every Sunday. They attended Catholic schools. How could this have happened under my very nose? What I know now is that addiction is a family disease. The effects of one person’s addiction have a direct impact on every member of the family. I see now that, slowly over time, we began compensating for the addict, fixing things for the addict, making excuses for the addict, tip toeing around the addict, until the whole family (whether cognizant of it or not), was changing what they would have typically done in order to facilitate or enable the addict to continue his habit. Letting go seemed counterintuitive, at first. If he had done this under our constant watch, what would happen if we let him go? But, if I continued doing what I HAD been doing, I knew I would continue to get the same result. I realized it was time for courage, time to ask for God’s will no matter what. Still, after learning of our son’s addiction we struggled with fear for his life and the need to protect him from judgment. 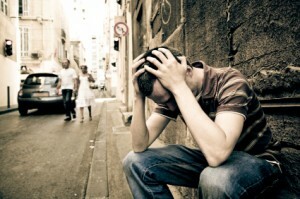 This disease of addiction still has many negative connotations associated with it. Often, it can be thought of as a character flaw; it is socially stigmatized. But, after a couple of weeks of carrying our secret, it became a burden too heavy to carry and the decision to confide in close family and friends was a tremendous relief. We began to attend family counseling at the rehab facility. Learning the facts about the disease of addiction helped us to release the anger towards our son, and place it where it belonged, on the disease. Early on the choice to experiment was his. It was a bad choice. One that would lead him to a place where the disease of addiction would take over. As parents, we also made a lot of bad choices. But, now we will choose to make better choices. Addiction is the number one public health threat today in the United States. If addiction hasn’t affected your family, look around. It is everywhere. While in rehab, my son reconnected with someone from high school, college and work, and even someone from his grandfather’s small hometown 100 miles away. Loaded with this new information, we started learning to live within our humbling new reality and looking with new eyes. How many times have I walked past someone that I suspected had a problem with drugs and alcohol and not looked them in the eyes? How many times had I failed to realize that these people were someone’s child, or to see Jesus in them? My son is experiencing what Mother Teresa called spiritual poverty. He is “one of the least of these.” I look into my beautiful boy’s eyes and see someone lost, but I also see a glimpse of hope. I have learned to look a little deeper from now on. Is my life perfect? No. Has my son stayed in recovery without relapse? No. But I have learned that peace is not the absence of chaos. It is having a calm heart in the midst of it. My son is on a journey, a journey that God has planned for him and that will teach him new lessons every day. If I get in the way, I might prevent him from learning something important. But, I am learning too. I must let go. When I simply trust, things are better. The sign at the rehab facility was only one lesson of many more, and each one brings me closer to God so that I am less afraid. I can face this journey knowing that God is in control, giving me strength for the day and a light for the way. Today I am able to “Let go and Let God.” Thanks be to God. Please look for additional articles in this series on Catholic Lane. Jean is a the married mother of three adult children. Her family converted to the Catholic Church almost ten years ago. She has been blogging at www.praying4henry.blogspot.com since 2010 in the online recovery community and teaches creative and expressive writing in prison ministry.